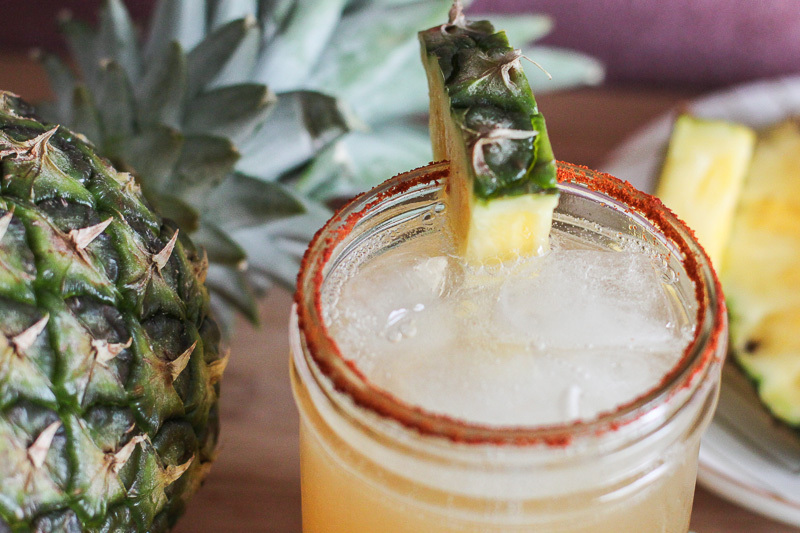 This kombucha recipe combines the sweetness of pineapple with the heat of cayenne pepper! I hope it reminds you of the island life! My trip to Hawaii had me craving all things pineapple once I returned home. Since I am a spice lover, I thought it would be fun to heat it up a bit with some cayenne pepper. 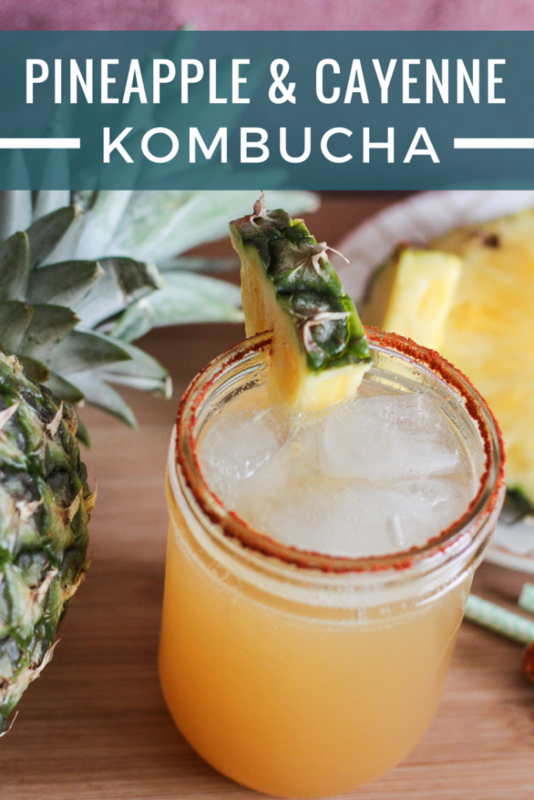 Drinking this pineapple and cayenne pepper kombucha gives me that relaxed feeling of swinging in a hammock on a tropical beach. First peel and cut up your pineapple. 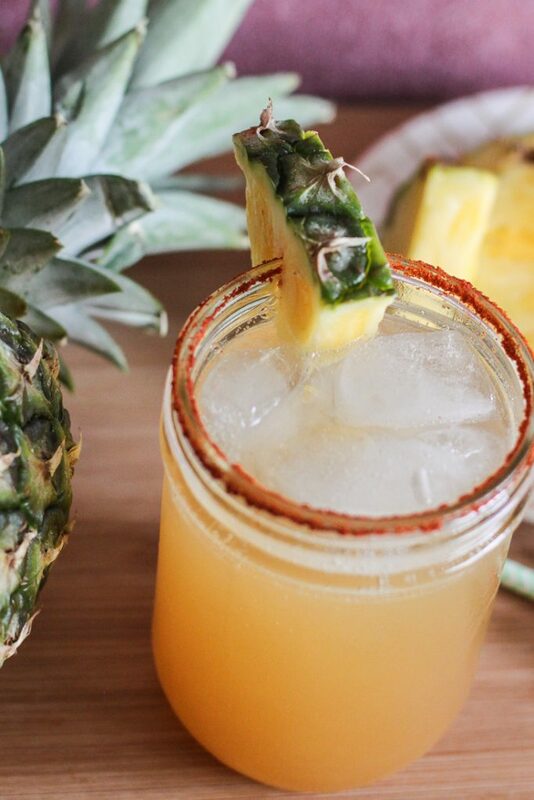 Then add the pineapple, cayenne pepper and approximately one cup of plain kombucha to a blender. Blend into a puree type consistency. An immersion blender would work for this recipe as well. At this point, I prefer to filter out the pineapple pulp before adding to my glass bottles. Alternatively, you can filter once you are ready to drink the kombucha as well. Or don’t filter it at all, it is your preference. I prefer to filter before adding to the bottles because it allows for more room for the kombucha in the bottles. The pulpy puree tends to be very frothy right out of the blender pitcher, so once the froth calms down you will find that your bottles aren’t actually as full as you thought they were. Next add approximately 3-4 ounces of the pineapple/cayenne/kombucha mix to each bottle. Then fill the rest of the bottle with plain kombucha. Place the caps on the bottles and allow to 2F (second fermentation) at room temperature for at least 3-4 days. 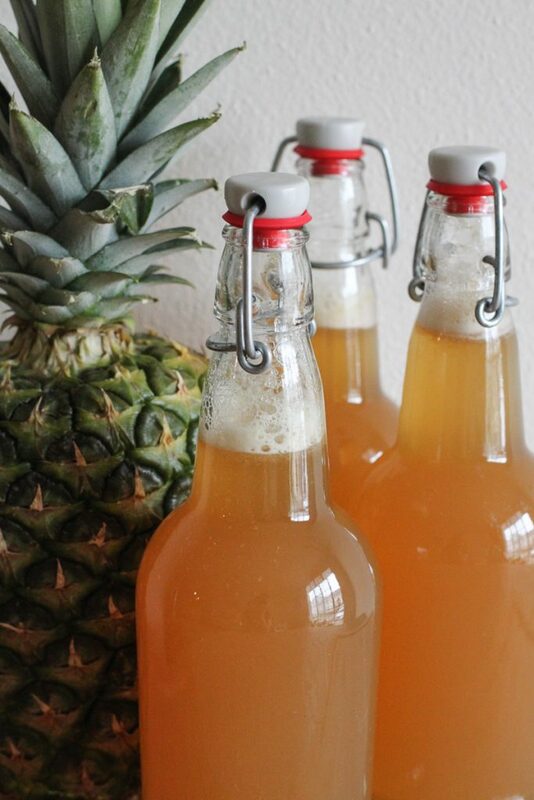 In general, pineapple creates carbonation in bottles very quickly. *Consider storing bottles in a plastic bin or cooler in case of an explosion. Be sure to use heavy duty glass bottles that are designed to hold pressure. Bottles found at craft stores or any square bottles are not recommended for using with kombucha as they are not meant to hold carbonated beverages. You can also ‘burp’ your bottles once a day to allow any built up gas to escape. However, that will result in a less fizzy final product. After 3-4 days, move your bottles to the refrigerator and enjoy an ice cold glass of pineapple and cayenne pepper kombucha anytime you want! I should note that spicy peppers (and their powders) tend to get spicier the longer they ferment. This kombucha may taste spicier at the 30 day mark than it did at the 14 day mark. This looks like such a great kombucha recipe! I really wanted to find a pineapple flavored recipe but you threw me for a loop with the cayenne! I think i’m not going to shy away and give it a try. Thank you for sharing this! I’ll report back with how it turns out. Hey Billy, how’d it turn out? Did you ever give it a try? Will canned fruit work ok? I wouldn’t recommend canned fruit for flavoring in general, as there are most likely preservatives included that could negatively affect the kombucha. We use fresh fruit or 100% fruit juice for our fruit flavoring, so hopefully that is an option for you. Thanks! This tasted better than a store bought cayenne kombucha. 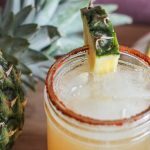 The pineapple sweetness helps to take the edge off but you definitely could feel the burn with the cayenne (I used extra cayenne). I actually had added 1/8tsp cayenne to each bottle with 1/4 cup fresh pineapple puree and the rest of the bottle was the plain kombucha. Still great, but depending on heat tolerance, likely would appeal to a larger crowd by using less cayenne like the original recipe states. Awesome to hear! Definitely agree on feeling a little burn! Would it still be possible to make this without a blender? Or would the cayenne just rise to the top? You certainly can, the cayenne doesn’t totally blend up anyway. Thanks for this recipe! It’s one of my favorites now! I love to add ginger.